If you want to make, your home stands out, and gain some ‘curb appeal’ stamped concrete is the way to go. Stamped concrete is quite a bit different than most finishes, in that its colours can be much more vibrant and unique. The stamping gives the concrete a three-dimensional type of feel, that can mimic different types of stone or other material. Stamped concrete is a great solution if you are looking to replace previous paving stones or brick. 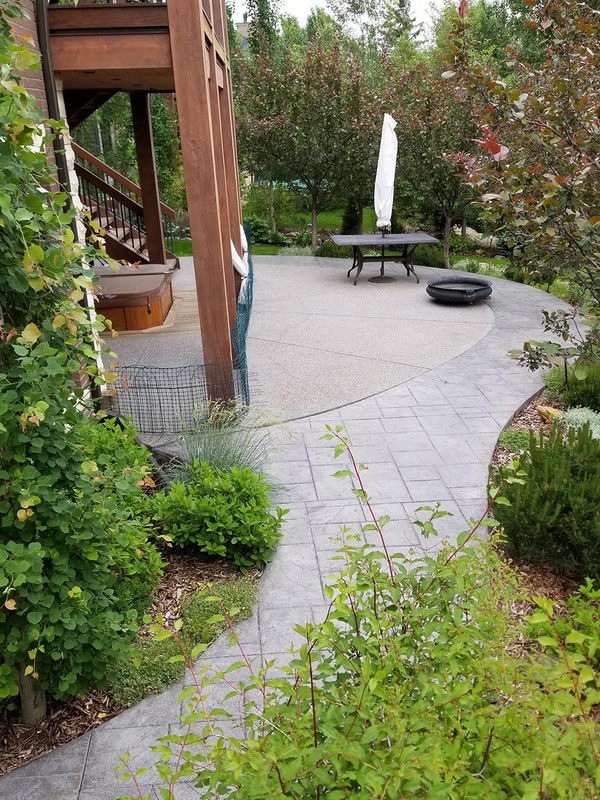 Not only does stamped concrete have a much higher structural integrity than paving stones and will not move, but it also avoids the problem of having unwanted plant growth, but maintains a beautiful stone look. Every stamped concrete project is finished with a thorough wash, and a high gloss sealer applied, ensuring excellent quality, durability, and life span. Often have guests over, and love enjoying the outdoors? Well, Iron Trident’s concrete contractors may have the solution for you. We offer a vast array of concrete patio designs. Our concrete contractors will work with you to build the ultimate concrete patio, of any shape, layout design and colour you desire. So that you can enjoy your yard, fireplace, swimming pool or outdoor kitchen. We have numerous finishes available, confirming a prestigious look, and durability for years of enjoyment to come. If you have a pool, our concrete contractors can also take care of a concrete pool deck. 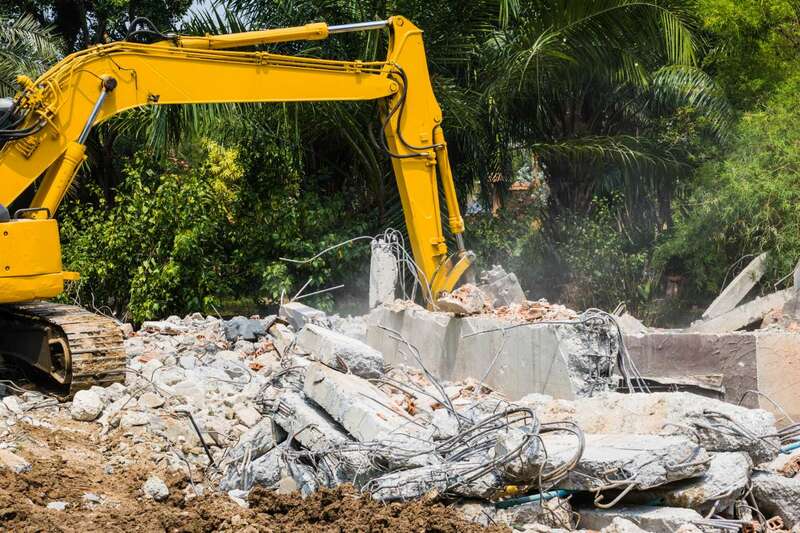 Iron Tridents concrete demolition contractors are experts in quick and safe concrete demolition and removal. If you are looking to remodel your yard or driveway and have existing concrete, asphalt, paving stones or any material alike, Iron Trident is equipped to have that material removed and have your project under-way promptly. Manually digging or breaking is the least cost and time effective method. We have hydraulic concrete breakers that we use on skid steers or excavators, and machines of a smaller calibre to reach those awkward places. This is a great way to save on time, and concrete demolition costs. We always promise a safe and clean working environment. Architectural concrete walls are one of Iron Tridents many concrete specialties. 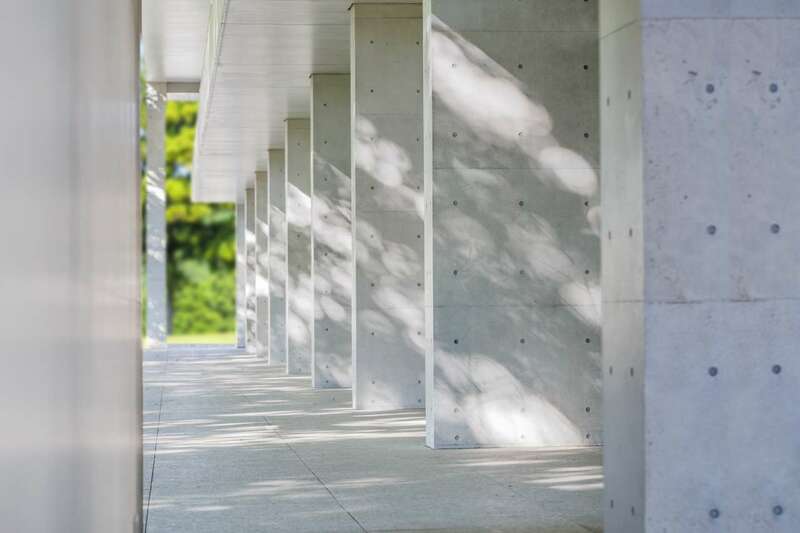 We offer multiple different styles of concrete walls, which include: Paper face walls, light sandblasted, exposed aggregate and board form. In addition to these styles, we can construct walls with Rustifications and Chamfers. Rustifications and chamfers are commonly known as pieces of wood or foam that are added to the formwork before forming and pouring. Rustifications leave behind a specialized imprint on the concrete after the forms have been removed. Chamfers can be found on the outside corners of the wall. Not only do chamfers add a bit of flare, but they also help reduce the risk of corner chipping. From overly simple, to extremely complicated. No single set of concrete stairs is a challenge for Iron Trident. 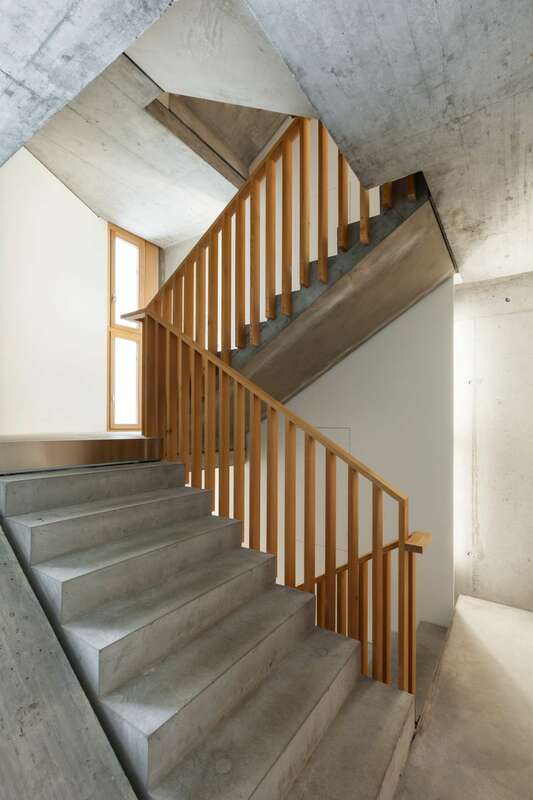 Currently, a very popular style of stairs is the contemporary, straight-edged, gray, smooth or lightly sandblasted finish. They have a great modern and luxurious feel. Not all homes suit this style, which is why Iron Trident also offers more complicated designs, and finishes. Our circular or radius concrete steps are another option sought after by many of our valued customers. Circular and radius steps often have larger treads and can come in all styles of finish or colours. Concrete stairs are a great addition to the front entrance, patio, or concrete walkway. Iron Trident has specialized in decorative concrete since day one. Our projects are our livelihood. Ready, willing, and able to take on any project, offering a wide range of concrete designs and finishes. 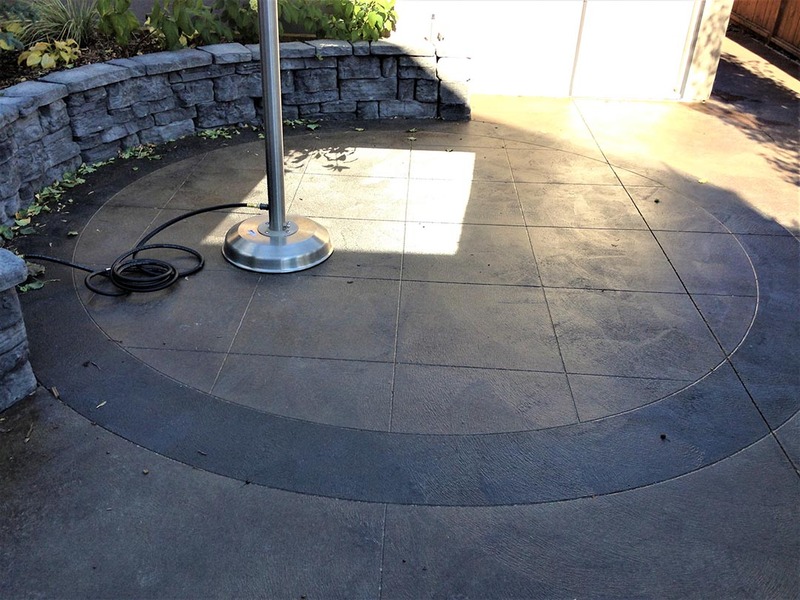 From small pads to complicated patios, from a simple set of stairs to a complex set, from driveways to concrete walls, our professional concrete contractors are equipped and experienced to fulfill any of your concrete desires in any finish or colour. Contact Iron Trident Concrete today!